STOCKING LEVELS MAY FLUCTUATE. PLEASE CALL FOR CURRENT AVAILABILITY. 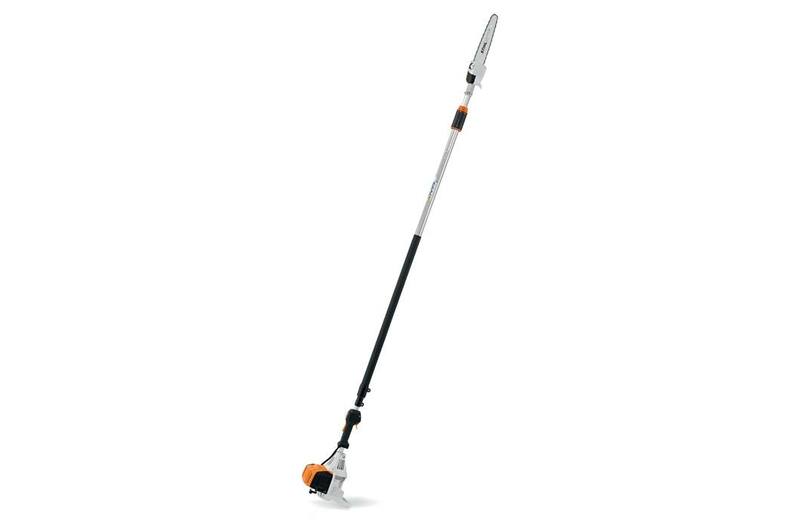 The ultimate telescoping pole pruner, built with the same features as the HT 103, but with a larger displacement engine. Reach for high branches with ease thanks to the HT 133 Pole Pruner. Its gearbox reduces weight at the cutting attachment compared to the previous model to provide easier handling and less fatigue. A powerful fuel-efficient, low-emission engine makes the HT 133 the ultimate choice for heavy tree maintenance tasks. Plus, with its squared shaft, users can prune high branches with ease and precision while the large fuel tank allows for 30% longer run times than the previous model. The HT 133 is packed with all the features of the HT 103, but with 35% more power for tough pruning and trimming jobs.